Sewage back up in your home? Imagine waking up one morning to find that sewage line that was supposed to be going out of your home, backed up and gurgling nasty stuff through your home. What do you do first? -CALL A PLUMBER AND GET THAT ISSUE FIXED ASAP. 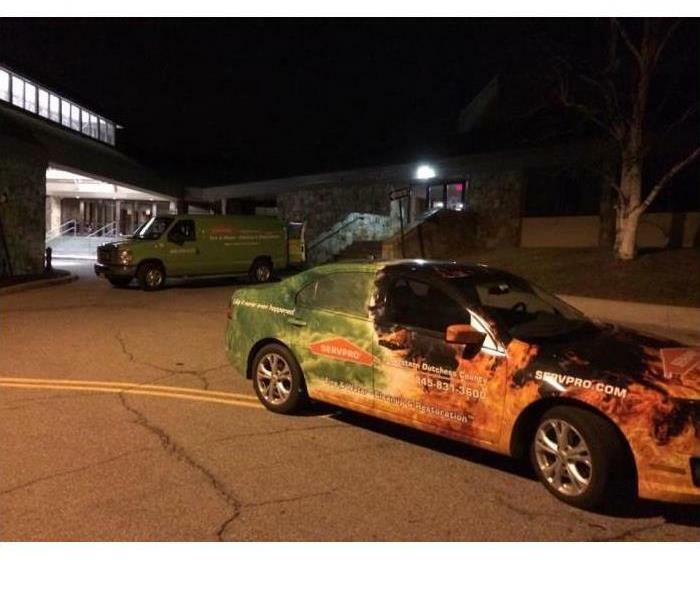 -Call your insurance company, put in the claim and they'll tell you to call us, SERVPRO of Western Dutchess County, store us in your phone 845-831-3600 and we'll be on our way to you in no time, we're faster to any size disaster! -Avoid all contact with sewage items and anything contaminated by sewage. -Wash your hands thoroughly after any contact with contaminated items. -Spread contaminated water by walking on damaged or wet areas. -Turn on the HVAC system if there is a even a remote possibility of spreading contaminated air. -Use household fans to dry the structure and spread contaminants. -Use products for personal hygiene and cleanliness if exposed to the contaminated areas. You can count on use to get this mess taken care of quickly! Our trained technicians will take care of everything from there, extracting the water and debris, salvaging contents, cleaning, sanitizing, drying out everything keeping you in the know and getting it back the way things were, "Like it never even happened." Call us 24/7 no matter the size of the damage, 845-831-3600. Biohazards like flood water or sewer backups should be considered an emergency and dealt with as quickly as possible. SERVPRO of Western Dutchess County has water damage restoration specialists and has specific training and expertise to safely remediate biohazard contaminants. SERVPRO is available 24/7 to help you!